How does a boy the doctors say is “mentally retarded” graduate high school with honors and earn academic scholarships to attend college? How does a boy who doctors say may never speak become a powerful vocalist and gifted public speaker who brings audiences to tears? How does a boy who cannot tie his shoes until he is 13 years old emerge as a swimming champion who receives an athletic scholarship to swim in college? Only by the grace and power of God. 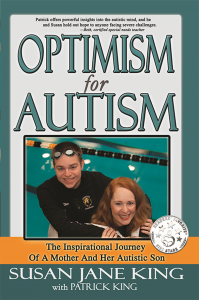 Optimism for Autism – The Inspirational Journey of a Mother and Her Autistic Son by Susan King with Patrick King is the heartwarming story of a boy who struggles with his autism, but manages to overcome his disability and becomes successful in what he does. The book speaks about the agonizing journey of a mother and her autistic son who, by keeping their faith in God, find a purpose to living. The story of Patrick King and Susan King will change your perspective on autism. 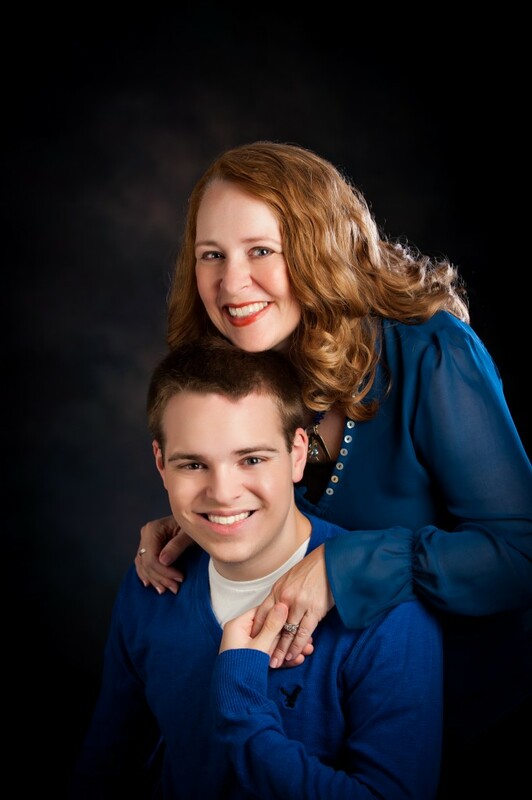 Patrick is the autistic boy who overcomes the disability and learns to live with happiness. The book starts from the initial stages of Patrick’s disability, his erratic behavioral patterns, how he makes peace with himself, and finally achieves success. Patrick’s perspective at the end of the chapters and the ‘something to think about’ exercises are very useful. It lends more details about how to look at autistic people and it is also a sort of check list to see the progress one makes. The book is very useful and helpful to those working around autistic people. Autistic people find it difficult to communicate with others. The book is an eye-opener for families having to deal with autistic people around them. Patrick keeps his faith in God and faces his disability every day with a good outlook. His therapy sessions reveal his optimism towards life which motivates readers, too. The book reiterates readers’ faith in the Supreme Power whose grace will see us through any problems that we face in life. An uplifting story that will change the perspective of the people working around and with autistic people.